The Beatles, a rock group from Liverpool, England, consisted of band members John Lennon, Paul McCartney, Ringo Starr and George Harrison. They were a group who wrote and performed catchy tunes about love and romance from the early 60s onwards. Their music had a pop nature to it that became commercially successful with the help of their producer George Martin. 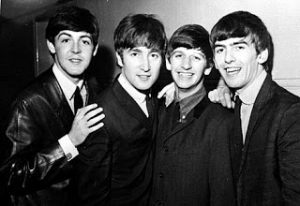 The Beatles, after gaining popularity and success, were very busy and the songs and albums they released prior to Revolver were usually done under the pressure of set deadlines they had to meet. Due to this, they had limited time to expand their creativity. After one of their tours in December of 1965, they finally took a break. Around that time, their musical styles began to change after being influenced by substances, as well as having free time they never truly had before to simply sit down, relax and create music without a set deadline. It was around that time that Revolver was created. The Revolver album took you into the world of The Beatles as they created their new musical sounds in the studio. One of the first songs they released from Revolver was one that wasn’t all about romance like most of their songs were. It was called “Paperback Writer” and it was released two months before the Revolver album. Their harmonies in that song were unique and stuck with listeners. The vocals were also different from what they’d done before. Their instrumental blends stood out as well. The way they recorded the instruments in the studio were also different. For example, “a speaker was used to record the base cabinet” instead of a traditional microphone. They used the studio to their advantage when recording their music. They experimented with microphone placements and used the equipment in different ways to achieve the recordings and instrumental sounds they wanted. Another one of their songs that was also different in lyrical content was “Taxman,” where they spoke about the taxes people faced and their issues with authority. “Eleanor Rigby,” another song from their album was very inspirational in lyrical content. You couldn’t help but feel for ‘all the lonely people’ portrayed in the song as they spoke about Old England. The song really resonated because of the strings that brought out the feel and dark sort of nature of the song. The way they were arranged created a full blend so no instrumental parts seemed like they were missing even though only strings made up that piece. The Beatles explored and experimented with many musical sounds during the making of Revolver. In “Love You To,” an Indian sitar was used and blended with their rock sound. 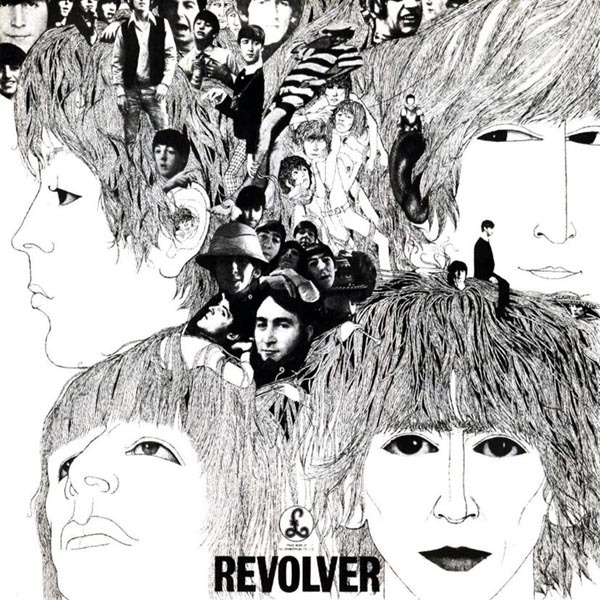 When listening to Revolver, it became clear to me why this album is one of the most popular rock albums of all time. The Beatles took their music to such high levels that it inspired people of all walks of life, even to this day. The way they expressed themselves was unique and memorable. From the way they blended their instruments, to the chord progressions they used, to the addictive rhythms, Revolver is the epitome of a rock classic. The Beatles experimented with their music and created sounds I felt blended nicely together. I realized that some of the stuff they invented and experimented with could be viewed as earlier forms of sound designing and synthesizing. For example, I found it interesting how they used reversed effects or recorded various sounds and processed them with effects to change them and create new sounds they could use in their songs. Their lyrical content was also different. It evolved to a deeper, personal level where they spoke about their experiences, opinions and thoughts in a more forward manner. 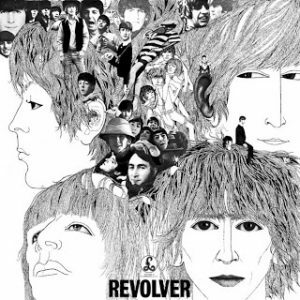 Overall, I’d say Revolver was and still is, a great and inspirational rock album by The Beatles. Howard, D. (2004). Sonic Alchemy: Visionary Music Producers And Their Maverick Recordings (First ed.). Milwaukee, WI: Hal Leonard Corporation. PRX | Piece | Everything Was Right: The Beatles’ Revolver . (n.d.). Public Radio Exchange . Retrieved April 2, 2012, from http://www.prx.org/pieces/15368-everything-was-right-the-beatles-revolver.